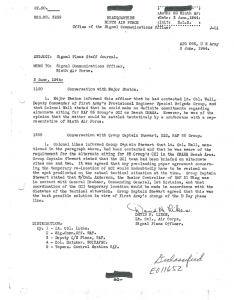 From some excellent research carried out by Bill Adderley, a Corporal with GCI 15082, in 1986, and forwarded to us by his son, Chris, we know a great deal about the joint RAF and USAAF planning for Radar on D-Day. 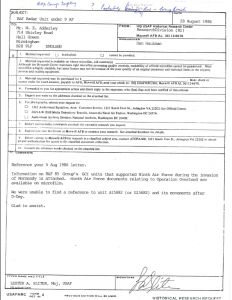 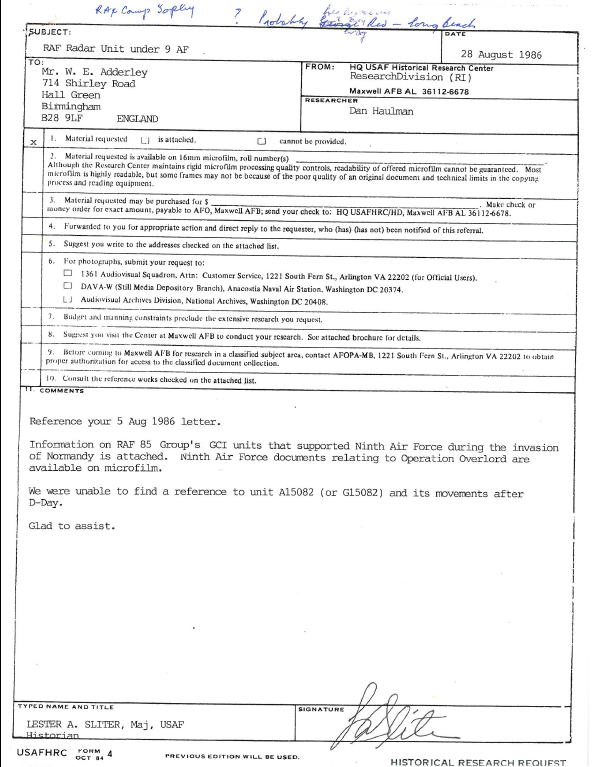 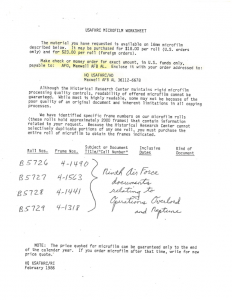 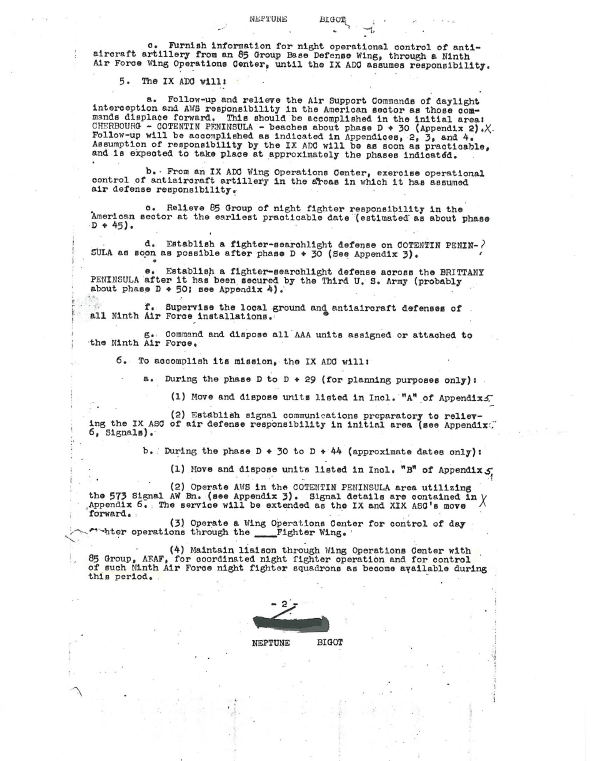 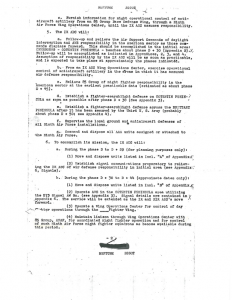 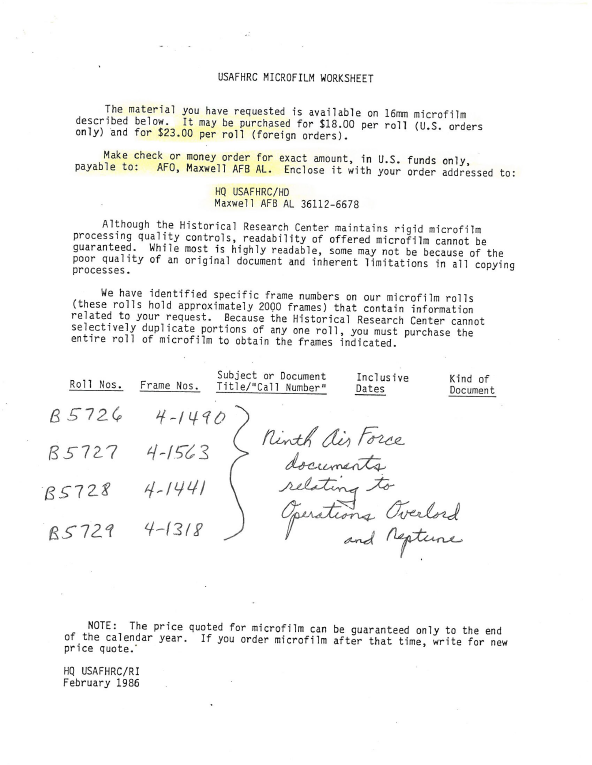 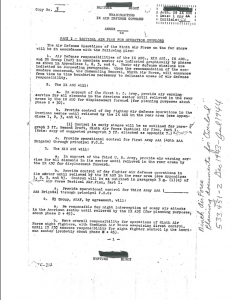 The first is a letter dated 28th August 1986 from the HQ USAF Historical Research Center. 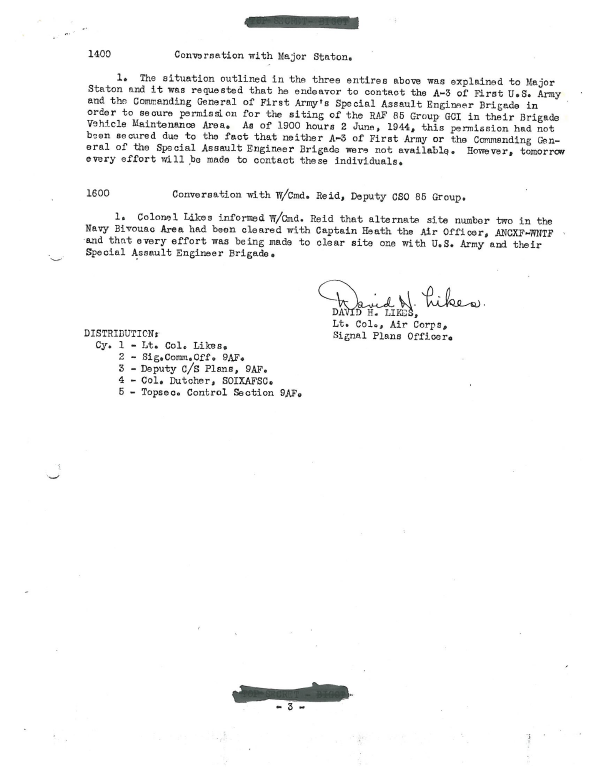 This relates to what question s were asked of them from Mr Adderley and what the USAAF supplied. 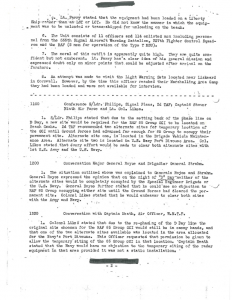 The second relates to Minutes of a meeting on 15th February 1944 between members of the 9th USAAF and representatives from the RAF. 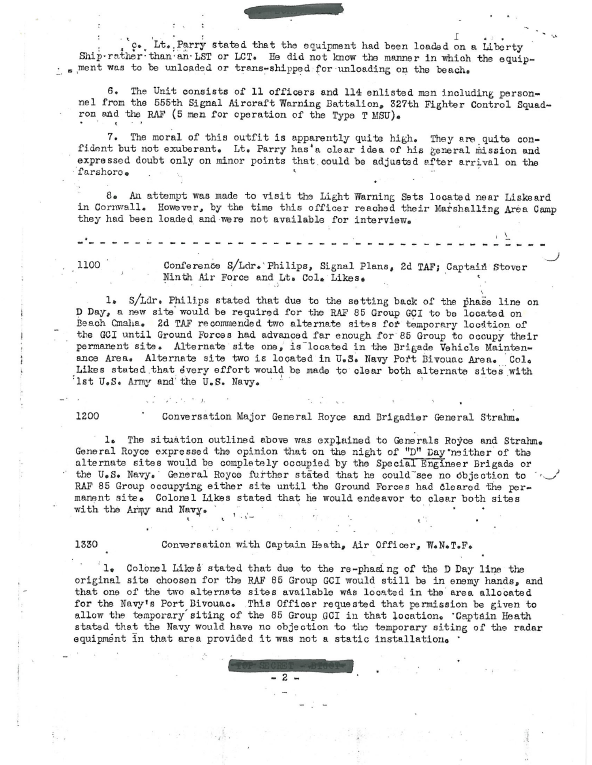 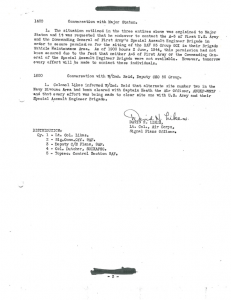 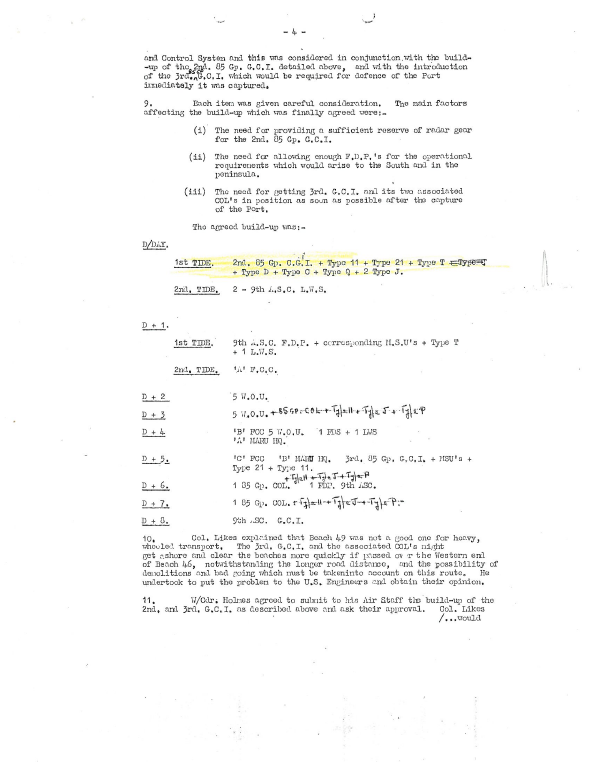 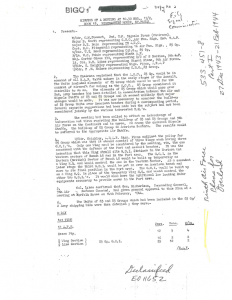 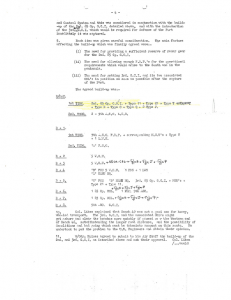 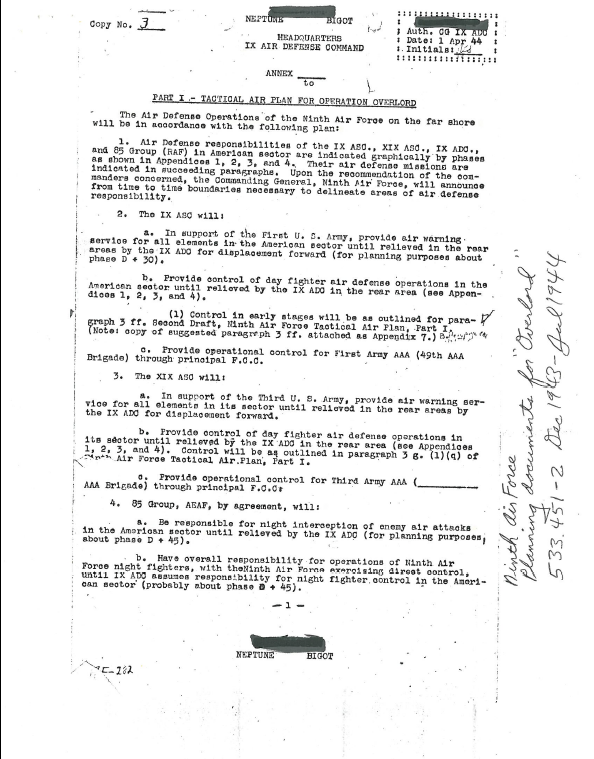 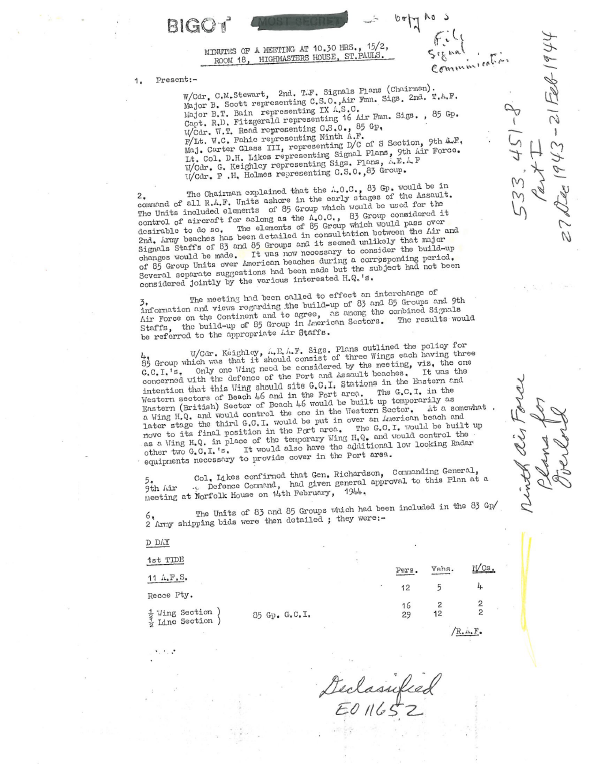 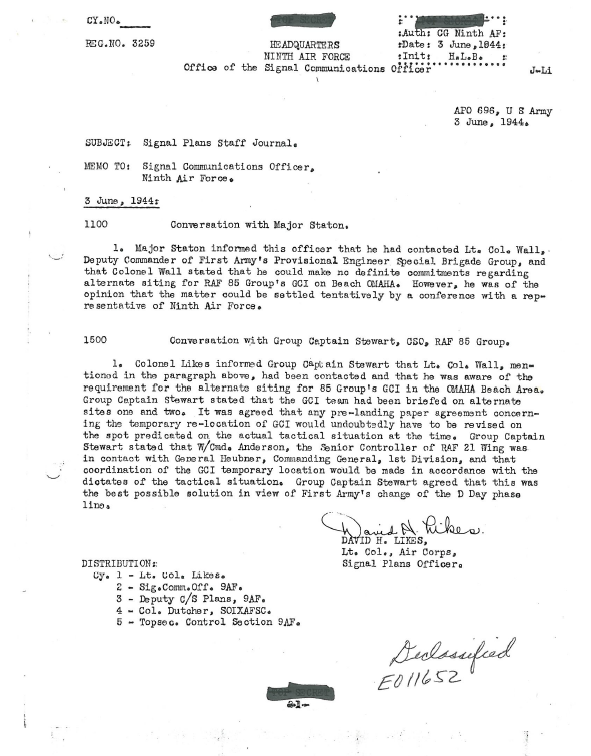 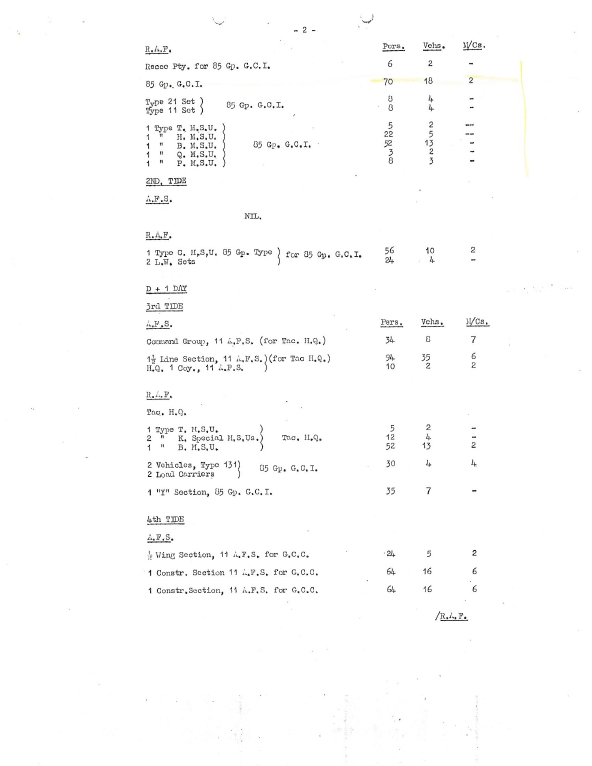 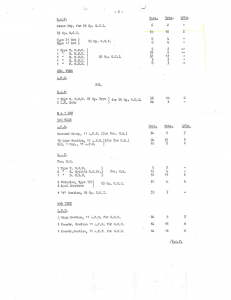 The third is a memo issued on 3rd June 1944 by Lt. Col David Links of the 9th USAAF, Air Corp Signal Planning Officer concerning several meetings and conversations he had on that day. 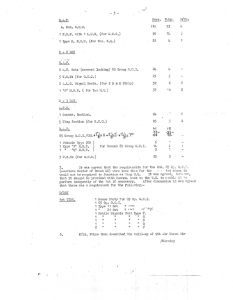 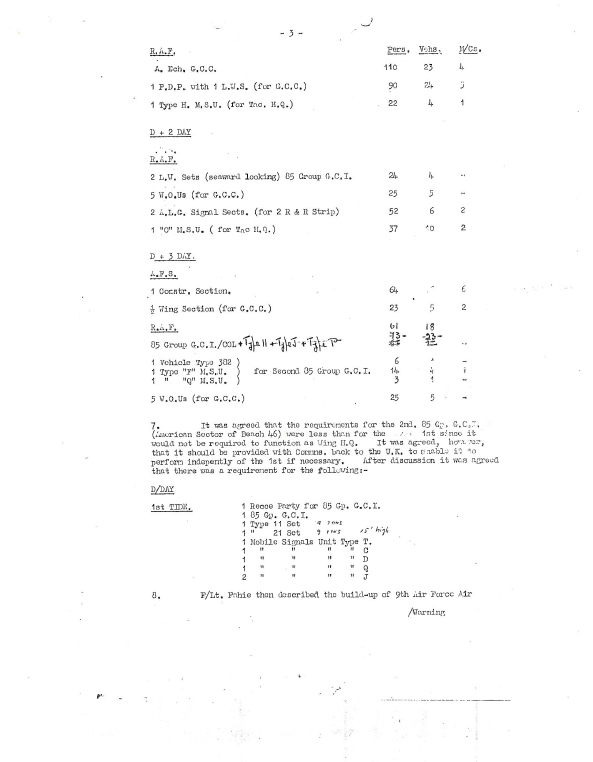 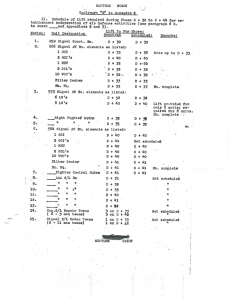 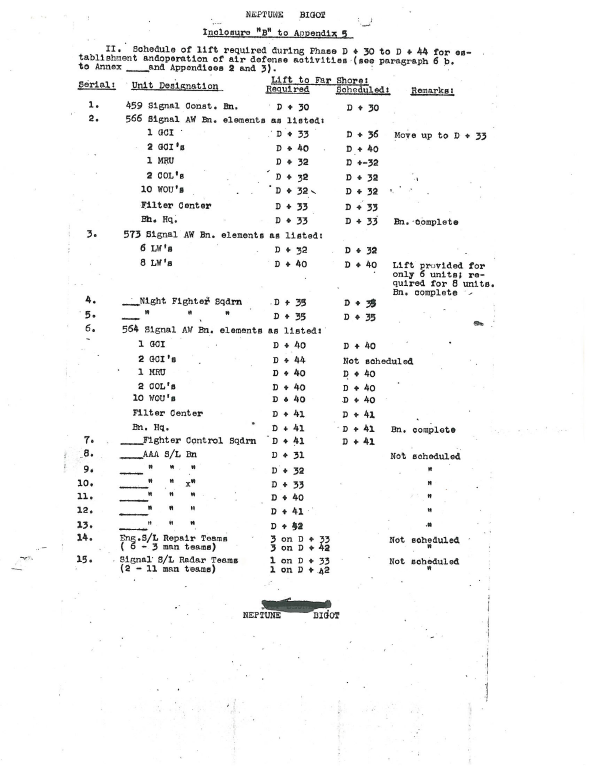 The final document is the tactical air plan for operation Overlord dated 1st April 1944 with respect to Radar and Signals.